The first modern settlement of Arzachena formed around the countryside church of Santa Maria della Neve, dating back to 1776. The cultural and archeological heritage of Arzachena, however, dates back to the Nuragic and pre-Nuragic era. The territory is in fact rich in archeological sites, which means that the area has been settled since ancient times, and that local culture had reached a high level of development. The Archeological Park of Arzachena consists of 8 archeological sites, spanning from Middle Neolithic to Late Bronze Age. 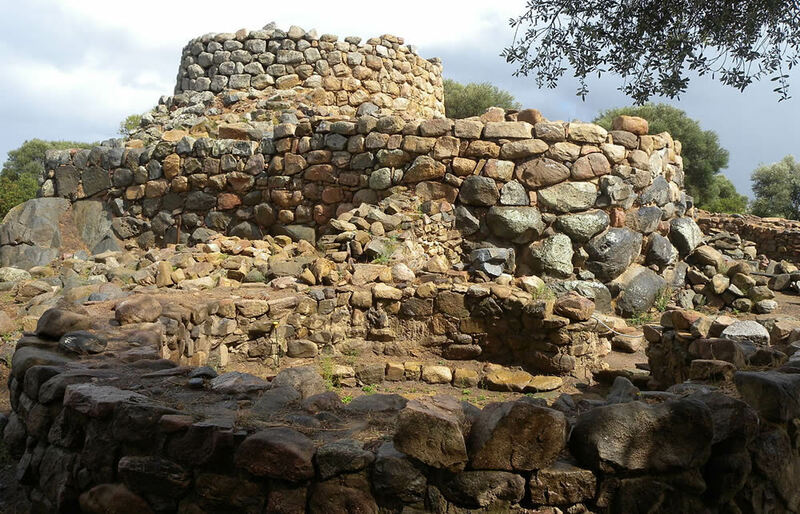 A journey through Nuragic history, surrounded by Mediterranean maquis, the typical rural settlements called “stazzo” and the stones, all telling the story of Sardinia. The La Prisgiona Nuragic complex is a compound tholos Nuraghe consisting of a central tower and two lateral towers, protected by walls. Inside there is a well, over 7 meters deep, and the meeting tent. The complex comprises over 90 tents, some yet to be unearthed, and some constructions dedicated to artisanal labs, which shows the level of evolution of this settlement. 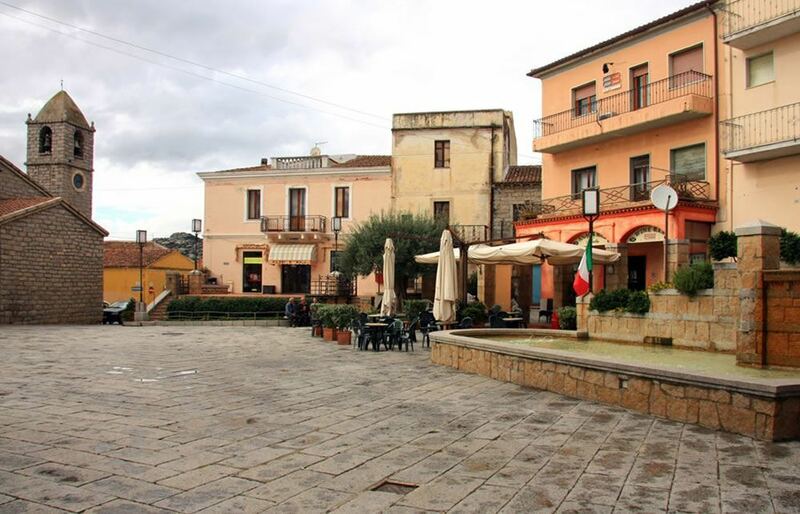 The complexity of this archeological site, the finds (including a vase of a very peculiar shape), the beauty of the surroundings (Capichera) make this attraction a must-see. The Coddu Vecchio Tomb of Giants is a funerary monument destined for collective burials, typical of the Nuragic era. 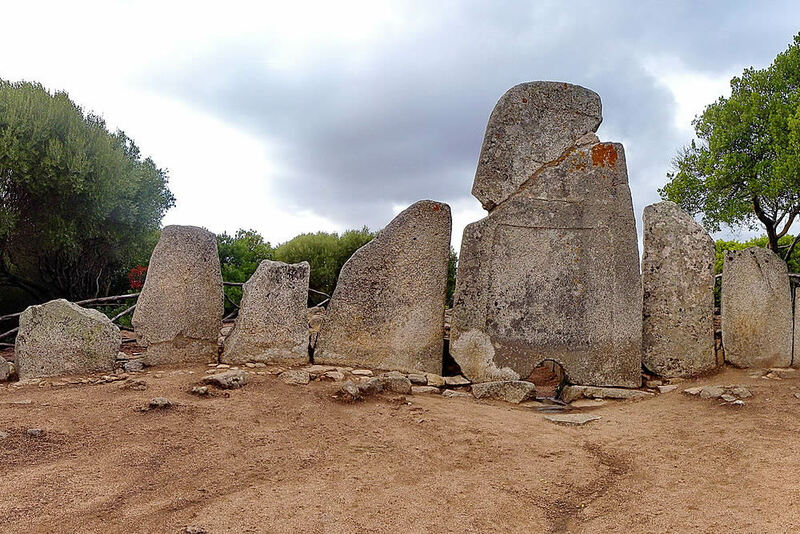 The monument is well preserved and shaped like a half moon, consisting of many blocks of increasing size, at the center of which a bigger stone is placed (a stele 4.4 meters high). The latter has a small opening that leads to the burial corridors. The Tombs of Giants were placed in specific locations thought by many to be “energizing”, and their mere visit was considered rejuvenating. Coddu Vecchio, or in Gallurese dialect Coddu Vecchju, is situated in a particularly captivating location: behind the tombs you can admire the wonderful vines of the Capichera region, which gives its name to one of Sardinia's most famous and renowned Vermentino wines. 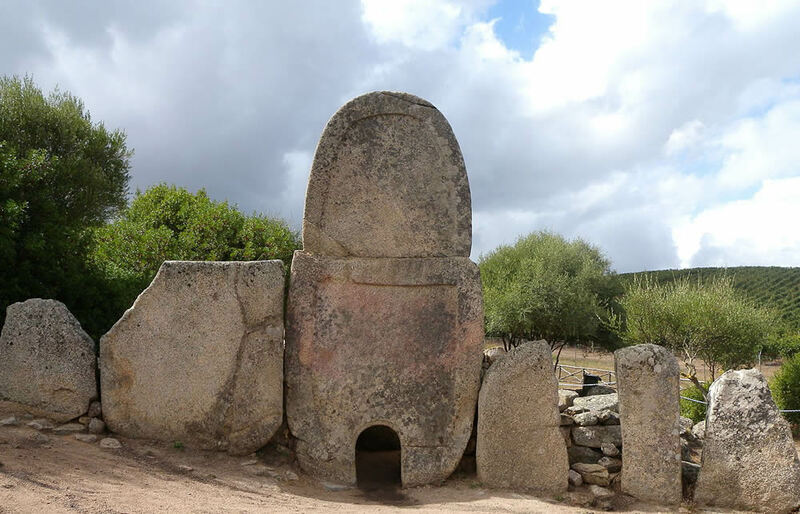 The Li Lolghi Tomb of Giants of one of the most captivating archeological sites of the Gallura region. The monument consists of a gallery tomb, a ceremony area, a burial corridor and a split-level area. The ancient dolmen is a cist: rectangular in shape and built with stone plates laid in the ground and covered with one or more horizontal ones. As most tombs of the Gallura region, it is 27 meters long and made of granite. It faces N/NO-S/SE, and the entrance is S/SE.